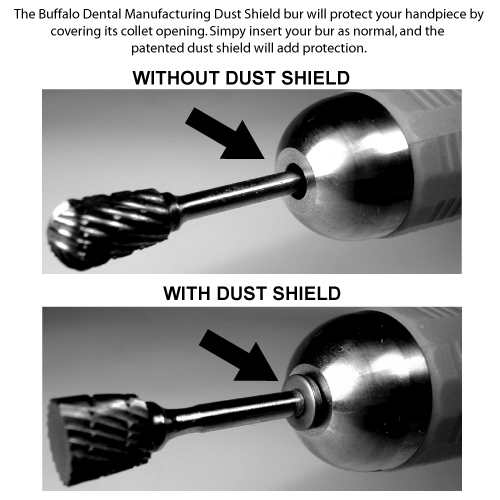 Carbide Burs - Buffalo Dental Manufacturing Co. Inc. Protect and extend the lifetime of your handpiece. Exclusive and Patented Abbott-Robinson™ Dust Shield burs keep 95% of dust and grit from entering a handpiece, which prolongs handpiece life by preventing contaminants from making their way inside! In a lab situation, there can be many different types of grit and dust that are created from different procedures. All that grit and dust can make it to the gears and motor, which recent CDC tests have shown, if not protected. This will not only carry over to the next procedure, and possibly raise the issue of infection or degradation, but also ruin your handpiece in the process. Abbott-Robinson™ Dust Shield burs conveniently cover the chuck opening, as shown by the images below, preventing dust and grit from entering the collet. This lowers the chance of cross contamination significantly, creating a safer environment as well as extending the lifetime of your handpiece by keeping dust and debris from damaging your motor. These preventative measures also come with the added benefit of SAVING YOU MONEY! For use in lab situations on plastics, ceramics, porcelain, plaster, acrylic, stainless steel, etc. Lab burs are NOT for Intraoral use! 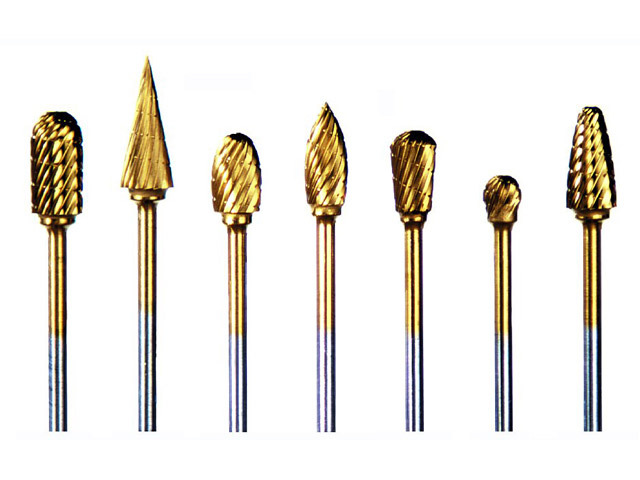 Made-in-USA Premium Carbide Burs Provide Outstanding Cutting Speed, Durability and Value! 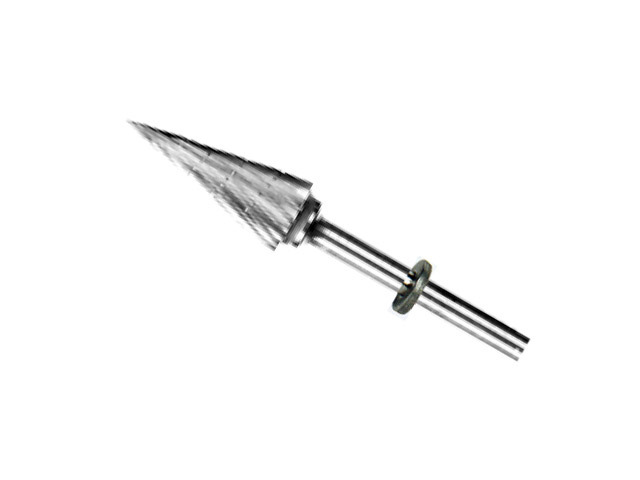 Premium carbide burs provide outstanding cutting speed, durability and value! 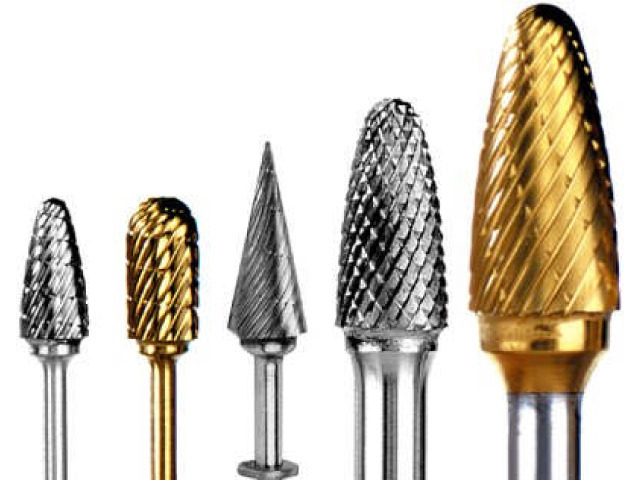 Using only the highest-quality materials to manufacture these burs, as well as an automated process, ensures that each and every bur produced offers the same great cutting speed, durability, and precision as the next! The premium TNT coating helps keep edges sharp and provides lubrication for superior cutting!